Go ahead, check your wallet; Less money than you thought, right? David Copperfield stole some while you were reading this caption. And now, ladies and gentlemen, if you’ll direct your attention over here, we have the next amazing feat of prestidigitation for you! Simply adjust your screen settings for maximum ease of reading, place the flask back in your office desk drawer before anyone sees it, and settle in for a little trick we like to call the Vanishing Liability. 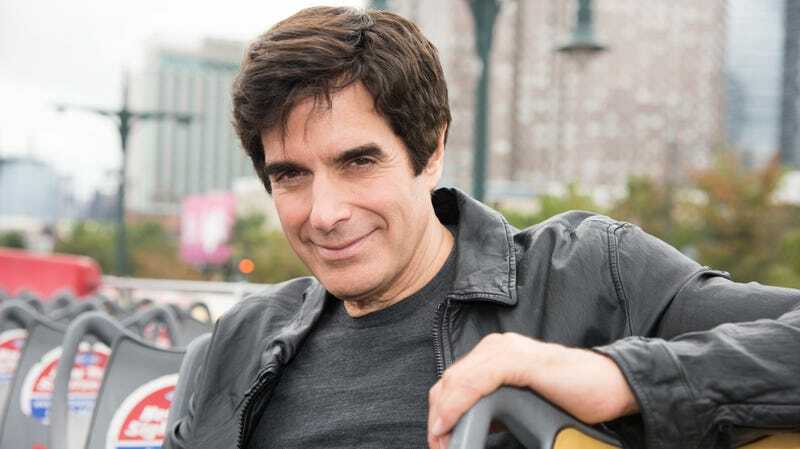 The show’s producer said that 55,000 people had taken part in the trick over the years, and Copperfield added no one had ever gotten hurt in the 20 years he’d been performing the feat. (“Until now,” Cox’s lawyer probably interjected.) Cox, a former chef, said that after his fall during the rush he couldn’t remember getting up to finish the trick. This will likely be it for Cox’s participation in magic shows, unless you count his ongoing participation in the illusion of capitalist exchange values.